A depth first search (DFS) is a search that goes as far as possible before backtracking. 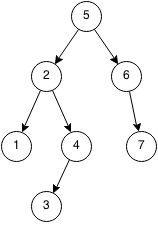 The search requires a stack but DFS is usually implemented with recursion which uses the system stack. So most of the time you do not need an explicit stack. Push the root into the stack. Pop the first element from the stack and push all of its non-visited neighbours to the stack. Repeat until the stack is empty. Most of the time, DFS is implemented using recursion and it is very short and simple to code. Given a graph and two nodes X and Y, determine if a path exists between X and Y. Given a node and a binary tree, find the next node in post order, pre order and normal order.